Throughout 2019, I’ll be exploring the great year in film history – 1959, of course. Join me a couple of times a month on Saturday afternoons at Scarecrow Video in Seattle, and we’ll watch and discuss in a little format we call Scarecrow Academy. We begin at 1 p.m. Schedule for the “first semester” is below. See the poster here. The series is free, but RSVP is encouraged. If you’d like to hire me to speak on a film-related subject, I can do that. I have done a lot of public speaking, under many umbrellas: Smithsonian Journeys, Humanities Washington, Architectural Association London, Framing Pictures, Road Scholar, King County Library System, and many others. I also did a monthly lecture series at the Frye Art Museum from 2005-2014. The term “flying saucer” was coined after a 1947 sighting near Mr. Rainier; the UFO craze that followed coincided with the dawn of the Cold War and with Hollywood’s depictions of extra-terrestrials landing in the all-American landscape of the post-WWII boom years. Robert Horton will examine the underlying political and social anxieties that resulted in the alien-invasion scenarios of 1950s science fiction films, citing movies both thoughtful (Invasion of the Body Snatchers) and silly (Earth vs. the Flying Saucers). Using clips to illustrate, he will discuss individual titles that provide angles on Atomic Age concerns: The Day the Earth Stood Still, for example, with its Gandhi-like alien, pleads for global peace. Comparisons will be drawn with similar offerings today (including the 2005 War of the Worlds remake), demonstrating how pop culture always reflects its era. The Western was America’s bedrock mythology – and greatest movie genre – for the first 70 years of film history. But, during a tumultuous period in the late 1960s and early 1970s, the “revisionist” Western took up a fiercely critical argument with the past: In the disillusioned age of the counterculture and Vietnam, you could no longer distinguish heroes from villains by the color of their hats. Because of the dramatic changes seen in Westerns, the genre forces us to look critically at our own myths. Why do we need the clarity of “good guys” and “bad guys” at certain times? Why do we sometimes embrace a more ambiguous view of human nature? How do these movies challenge our way of thinking – and what happens to us when a movie forces us to question our long-cherished beliefs? In the early years of the Great Depression, a politically radical spirit entered American culture. This included mainstream Hollywood films, where new social ideas created a rawer, more concerned cinema. This talk showcases how movies took on a radical tinge, in the Depression fury of Wild Boys of the Road and I Am a Fugitive From a Chain Gang, the blue-collar grit of 42nd Street (yes, the musical), and the socialist-utopian ideology of King Vidor’s Our Daily Bread. Ever since Eve offered Adam the apple, the femme fatale has taken the Fall in a lot of art. Hollywood is no exception, but when we watch silent-screen vamp Theda Bara or Mary Astor in The Maltese Falcon, are we witnessing male anxiety or female empowerment? In the 1940s and early 50s, Hollywood created the shadowy, mysterious style we now call “film noir.” In this talk we celebrate some of the shady ladies who defined film noir, including Barbara Stanwyck (Double Indemnity), Rita Hayworth (Gilda), and Joan Bennett (Scarlet Street), and ask why these films are more popular now than ever. Did the movie “ruin the book” again? Well, maybe. But sometimes when a movie goes crazy with its source, it creates something fresh and exciting. This talk looks at some of the wildest literary adaptations and describes how they show us something new. How did The Tempest become Forbidden Planet? How did Jane Eyre turn into I Walked with a Zombie? And how on earth did the Coen Brothers take Homer’s Odyssey and come up with O Brother, Where Art Thou? As we ponder the nature of adaptation (including Spike Jonze’s film Adaptation), we will see how a wild adaptation can not only illuminate the original (even when we barely recognize it), but also teach us about being open to the unexpected. We’ll also talk about how different cultures adapt the classics for their own purposes. Many movies have whetted the audience’s appetite with lavish displays of culinary skill, but a delicious few have celebrated the way the preparation (and consumption) of food can become an art, even a practice of deep—sometimes life and death—meaning. This discussion will savor the movies’ ability to make the meal of our dreams, from deluxe banquets to Charlie Chaplin’s boiled shoes. Included on the menu: clips from films such as Babette’s Feast, Eat Drink Man Woman, and Big Night. Mankind’s excitement about artificial intelligence has always been tempered with anxiety. Ever since the robot got loose in the sci-fi classic Metropolis, the movies have long explored the possibilities and consequences of what happens when we create something that might just be smarter than we are. But perhaps those hopes and worries say more about us than about technology. This talk, illustrated with clips, explores some of the most memorable manifestations of the theme, from the paranoid computer of 2001: A Space Odyssey and the perfect child of A.I. – Artificial Intelligence to the different personalities in Her and Avengers: Age of Ultron. A look at how movies, from the silent era until today, have imagined what the future would be: utopian wonderland crowded with flying cars and transporter beams, or dystopian nightmare of decayed cities and Big Brother? Film clips and vivid illustrations from classics such as Metropolis, The Time Machine, A Clockwork Orange, Blade Runner, and Wall*E demonstrate how such visions have changed over time, and how accurate they’ve proved. What was Gus Van Sant up to with his slavishly faithful 1998 remake of Alfred Hitchcock’s Psycho (1960)? He was making a mastercopy. In this case study, Robert Horton looks at how the original classic inspired sequels, remakes, and extreme responses such as Douglas Gordon’s 24 Hour Psycho (1993) and James Franco’s installation Psycho Nacirema (2013). A generation of filmmakers is dealing with cinema’s ability to play with time. How does time become a character in a film? What happens to us when we become aware of time passing during a very long take, or notice the effects of time on actors? The directors grappling with these fascinating questions include contemplative masters Bela Tarr (The Turin Horse) and Alexander Sokurov (Mother and Son), the time-obsessed Tsai Ming-liang (Stray Dogs), and Richard Linklater (whose Boyhood was 12 years in the making). The dark American fable, in which a pleasant surface is punctured to reveal a sinister threat within, stretches back at least to Nathaniel Hawthorne’s “Young Goodman Browne.” The danger is echoed in American cinema, where small-town values hide evil (The Night of the Hunter) or a detour off the old highway leads to the abyss (Psycho, Texas Chainsaw Massacre). We also consider David Lynch’s forays into northwest noir, Blue Velvet and Twin Peaks, in this tradition. When we look at a screen, “space” itself should be an eloquent presence. From D.W. Griffith to Wes Anderson, film directors have grappled with the issue of how to carve up space—how to shade character, evoke emotion, or generate suspense by dividing up the screen. In this talk we will break down this essential element of film style by looking at how the masters do it: Kubrick, Hitchcock, and Roman Polanski included. “What is for the eye must not duplicate what is for the ear.”—Robert Bresson. Cinema is a visual medium, but great filmmakers understand that sound is an expressive element all its own. In this talk we explore the work of two cinematic giants to illustrate the art of noise…and silence. Japan’s Akira Kurosawa (Seven Samurai, Ran) always understood how howling wind or running water could change a scene, and French master Robert Bresson (Pickpocket; Au Hazard, Balthazar) elevated the soundtrack to a virtual starring role. Movies have always used fairy tales as inspiration, sometimes for decidedly grown-up ends. But why do these children’s stories leave such a strong impression on us? In this look at fairy-tale films we’ll see what made Disney animated classics like Snow White and Fantasia come to life, as well as complex live-action adaptations such as The Red Shoes and Jean Cocteau’s Beauty and the Beast. Moviemakers in South America have explored a wide range of lively stories and styles in the 21st century. In this talk, we’ll see how directors from Argentina and Chile (including Lucrecia Martel, Sebastian Lelio, and Pablo Larrain) have created everything from juicy thrillers (the Oscar-winning Secret in Their Eyes) to black comedies (2015 Oscar nominee Wild Tales) to thoughtful documentaries (Nostalgia for the Light). In this talk, Robert Horton looks at filmmakers whose work traces the discontent beneath surface sheen of domesticity: German-born Douglas Sirk’s 1950s Hollywood melodramas (All That Heaven Allows, 1955), R.W. Fassbinder’s middle-class studies (The Merchant of Four Seasons, 1971), and Chantal Akerman’s majestic bourgeois nightmare, Jeanne Dielman (1975). Also in the mix: Todd Haynes’ Sirk tribute, Far from Heaven (2002). Filmmakers from Taiwan and China cannot escape the subject of how their societies shift from deep tradition to the modern world. This talk looks at the marvelously talented directors who have brilliantly navigated that transition in recent years: Hou Hsiao-hsien (Film Comment‘s “Director of the Decade” for the 1990s), onetime Seattle resident Edward Yang (Yi Yi), Oscar-winner Ang Lee (Eat Drink Man Woman), and new critical darling Jia Zhangke (Still Life). The Hollywood blacklists of the 1950s sent dozens of filmmakers into exodus. This talk looks at two Americans (both with roots in postwar film noir) who reshaped themselves as European directors and remained expatriates: Joseph Losey collaborated closely with Harold Pinter (The Servant) and perfected the arthouse aesthetic (The Go-Between, Accident); Jules Dassin married Greek actress Melina Mercouri and found popular success with Rififi and Never on Sunday. In the early 1920s a group of Russians unleashed a series of revolutionary films that truly shook the moviemaking world; it was the moment “the cinema had at last spoken in its own language,” as Dwight Macdonald described it. This talk examines the classics of this brilliant era, and what became of its visionaries: Sergei Eisenstein (Battleship Potemkin), Alexander Dovzhenko (Earth), V.I. Pudovkin (The Last of St. Petersburg), Dziga Vertov (The Man with a Movie Camera). How have movies dreamed cities? In this lecture we’ll look at the cinema’s most credible and organic cityscapes, and what those visions suggest about where we live (and where we might live). A series of visually evocative examples include enchanted perspectives (Chungking Express and Manhattan), outsider views (Lost in Translation and Before Sunset), and speculative predictions (Metropolis and Blade Runner). The Victorian occult craze included ghost sightings and séances. This talk looks at how film has depicted that serious investigation into the paranormal, from adaptations of literary classics such as The Turn of the Screw and The Picture of Dorian Gray to wild originals including The Cabinet of Dr. Caligari (1920), Haxan (aka Witchcraft Through the Ages, 1922), Hammer Films’ Victorian horror of the 1950s and 60s, and Christopher Nolan’s The Prestige (2006). Some filmmakers take the human form itself as a subject for deep study, with results both sensual (Claire Denis’ Beau Travail) and horrified (David Lynch’s Eraserhead). Robert Horton convenes this cinematic anatomy class, ranging from British artist Steve McQueen’s Hunger to Ingmar Bergman’s obsessive, career-long sculpting of the human face—and makes the connection between Yoko Ono’s experimental No. 4 and the pants-down comedy of Will Ferrell. By constraining the expansive possibilities of film, many inspired directors have recognized the rich possibilities of exploring a limited space. We discuss on how movies—including Alfred Hitchcock’s Rear Window and Lifeboat, Roman Polanski’s The Tenant, and recent experiments such as Paranormal Activity and Lebanon—find their meaning by narrowing their gaze. Some intense movie experiences have come from studying martyrs, those mysterious and committed self-sacrificers. This talk looks at how different artists have depicted this kind of single-minded devotion in cinema, including a comparison of Carl Theodore Dreyer’s Passion of Joan of Arc (1928) and Robert Bresson’s Trial of Joan of Arc (1962), as well as modern variants such as Lars von Trier’s Breaking the Waves (1996) and Steve McQueen’s Hunger (2008). A new vision of American was ushered in (or at least chronicled) by the Beat movement, but film had an uneven time adapting to the Beat spirit. This talk examines both authentic Beat movies (Pull My Daisy, 1959, written by Jack Kerouac and starring Allen Ginsberg), their inspired cousins (John Cassavetes’ Shadows, 1959), and the sometimes hilarious Hollywood attempts to get in the beatnik groove (Roger Corman’s A Bucket of Blood, 1959). If the expressiveness of actors is key to movie-going enjoyment, how can puppets and other blank-faced performers be so astonishing? Perhaps there’s something about blankness that allows the audience to project its own feelings into a movie scene, an idea Robert Horton pursues in examining Todd Haynes’ Barbie epic, Superstar: The Karen Carpenter Story, Stanley Kubrick’s robotic HAL (and the stone-faced actors around him) in 2001: A Space Odyssey, and puppet pictures such as Team America: World Police. This talk delves into the fascinating ways Alaska has fired the movie imagination: mined for comedy in Charlie Chaplin’s classic The Gold Rush (1925) or adventure in Anthony Mann’s The Far Country (1954) and Carroll Ballard’s Never Cry Wolf (1983). Hauntingly, Alaska is the place people travel to get apart from the world, as in Sean Penn’s Into the Wild (2007) and Werner Herzog’s Grizzly Man (2005). “Loss” has been a prime concern for certain filmmakers; this talk proposes two pantheon directors who made loss central to their extraordinary careers. One-time wunderkind Orson Welles obsessively surveyed the idea, including loss of self (Citizen Kane, The Trial), the passing of an era (The Magnificent Ambersons), and Shakespearian regret (Chimes at Midnight). Michelangelo Antonioni made absence and alienation the subject of his masterpieces L’Avventura, Blow Up, and The Passenger. In an inscription on one of Qi Baishi’s paintings, the artist writes, “Who says that flowers have no passion?” In this study of two gifted filmmakers, we explore the way simplicity can convey strong meaning. Japan’s Yasujirô Ozu (Tokyo Story) created works from basic plots and a humble manner—yet he is one of world cinema’s great masters. China’s Zhang Yimou has made painting with color and form part of his style, especially in his early works such as Ju Dou and Raise the Red Lantern. Who truly qualifies as an “outsider filmmaker,” working outside the system in a handmade style of cinema—especially when multi-million-dollar movies are dubbed “independent”? This talk suggests a few fascinating careers far, far outside the mainstream, such as Oscar Micheaux and Spencer Williams (pioneering African-American filmmakers of the 1920s-40s), schlockmeister Ed Wood, and the original indie director John Cassavetes (Shadows). Some of the most beautiful films ever made could be described as “folk art” portraits of children, depicting the universal experience of childhood from all over the globe. This talk surveys some of the best, and ponders what separates them from the Disney vision: the mastery of Jean Renoir’s The River and Luis Buňuel’s Los Olvidados, the realism of Satyajit Ray’s Pather Panchali and Hector Babenco’s Pixote, the stylization of Theo Angelopoulos’s Landscape in the Mist. The collision between the modern and the ancient is embodied in many works of African cinema. Robert Horton considers the fascinating and vibrant films of the most eloquent of sub-Saharan filmmakers, including Abderrahmane Sissako and the late Djibril Diop Mambety (Hyenas). In particular, the dean of African cinema, octogenarian master Ousmane Sembene, created in his last films Faat Kiné and Mooladé a marvelous vision of modernization co-existing with ancient totems and taboos. A four-part series examining early German cinema in depth. In the first 40 years of movies, no national cinema boasted as much innovation and artistry as the German film industry. This course will explore the dazzling achievements of this movement, from the exaggerated Expressionistic style of The Cabinet of Dr. Caligari (a worldwide sensation in 1920) and Die Nibelungen to the sensuous films of F.W. Murnau (Nosferatu) and the astonishing triumphs of Fritz Lang (Metropolis, M). We’ll also look at how the rise of the Nazis drove German talent to Hollywood (including Marlene Dietrich and Billy Wilder), and how Hitler—using the genius of his favorite director, Leni Riefenstahl—exploited filmmaking for his own purposes. Plentiful film clips will help bring the era to life. In his negative review of Metropolis, H.G. Wells used the phrase “dear old magic-loving Germany” to describe the country’s fascination with mythology and fable. This talk examines some classic German films and their exalted exploration of legendary subjects, from Fritz Lang’s massive Die Nibelungen (1924) and Leni Riefenstahl’s The Blue Light (1932) all the way to Wolfgang Petersen’s NeverEnding Story (1984) and other modern examples. The early years of German cinema present complicated women in contrasting roles: blond, stalwart Henny Porten gained enormous popularity as an ideal figure of German womanhood, while dark, androgynous Asta Nielsen embodied a mystery that included playing Hamlet as a woman (Apollinaire described her as “the drunkard’s vision and the lonely man’s dream”). This talk examines the way the era’s images—Brigitte Helm’s angelic/evil dual roles in Metropolis, for instance—lead to Marlene Dietrich’s triumph in The Blue Angel. This talk traces cinema’s vision of the Cold War in Germany, up to reunification and after: Hollywood’s version of Soviet rule (Billy Wilder’s Berlin comedy One, Two, Three; the LeCarré adaptation The Spy Who Came in from the Cold); East Germany’s own social-realist cinema; and the burst of German films dealing with life after the Wall (Good Bye, Lenin!, Go for Zucker) or looking back to the G.D.R. era (The Tunnel, The Lives of Others). Three names are inextricably linked with the flowering of West German cinema in the 1970s: Werner Herzog (Aguirre, the Wrath of God), Wim Wenders (Wings of Desire), and the short-lived but astonishingly productive R.W. Fassbinder (The Marriage of Maria Braun). This talk compares the journeys of these gifted filmmakers against the context of German film history. Two great Germanic filmmakers—with very different styles—produced fascinating portrait-films that compare admirably with the portrait painters of late 19th-century/early 20th-century European life. The elegant German expatriate Max Ophuls explored the deep romantic ache throbbing beneath the apparently shallow world of Parisian aristocrats in his masterpiece Madame de… (1953), while the Munich revolutionary Rainer Werner Fassbinder applied his classical-meets-postmodern style to Fontane’s 1894 novel about a young woman swallowed up by society, Effi Briest (1974). Both directors perceive the “skull beneath the skin” in these otherwise glamorous portrayals. 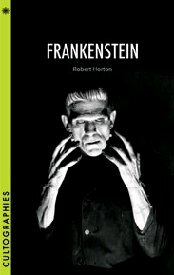 This is out: My book on the 1931 Frankenstein, from Columbia University Press. One place to get it is here. Out now: the first two volumes of Rotten, a wild, provocative, and gory graphic novel I have co-authored with Mark Rahner (art by Dan Dougherty). It’s a zombie Western set in 1877, with overtones of recent U.S. political history. Or possibly undertones. Click on my Rotten tab above for further info and marching orders. Order the Rotten trade paperbacks at the Rotten website and see cover art here. 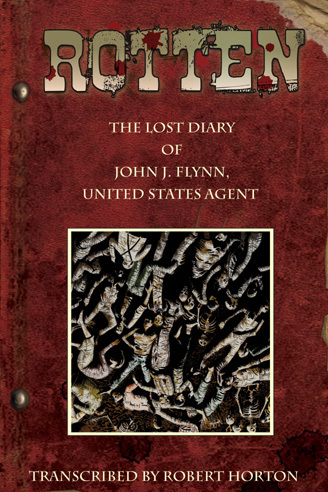 The Rotten page at Moonstone, where you can also order the Rotten book The Lost Diary of John J. Flynn, U.S. Agent, is here. Check the Rotten music video here. For a list of past lectures at the Frye, click here.